How Far is Merusri Springs? 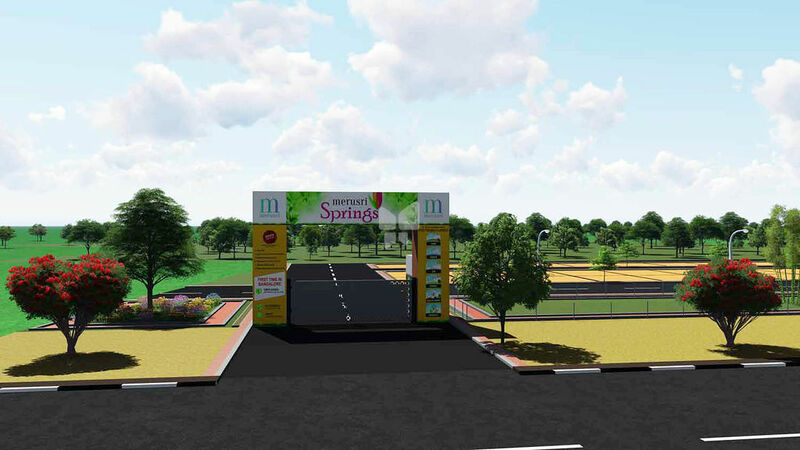 Holding steadfast to ethics and our strongly entrenched values, Merusri Springs is yet another residential product on offer.A suitable communion of healthy, smart living and nature’s aesthetics, this 10 acres project comprising of 180 luxury villa plots is nothing but a reflection of happy community living. Phase 1 5.13 acres, with phase 2 of 4.87 acres. Merusri Springs has been granted clearances from relevant authorities like BIAPPA and has been approved by leading banks. With the promise of impeccable title deeds and complete transparency in documentation and transactions, we are confident that this endeavour of ours will give you as much pleasure as it has, to us. DC office on 20 acres. Merusri Real Estate Developers Private Limited is a Bangalore based Real estate company, initiated with a strong belief in delivering 'Comfortable Living Spaces'. Our business philosophy lies in the commitment to create quality building through innovation and knowledge with customer satisfaction as our primary goal. Merusri Real Estate Developers Private Limited operates in building premium residential apartments and approved plot developments. We aim to stay abreast with the changing trends and standards in the building industry as materials and processes continue to evolve. Merusri Real Estate Developers Private Limited is run by a young management team with aspirations to make your dream home a comfortable living space. We adhere to the principles of design and the broader concepts of architecture, ensuring that you get a home which not only fulfilling your needs in terms of architecture and economics, but also aids in being a strong and secure foundation for the future.